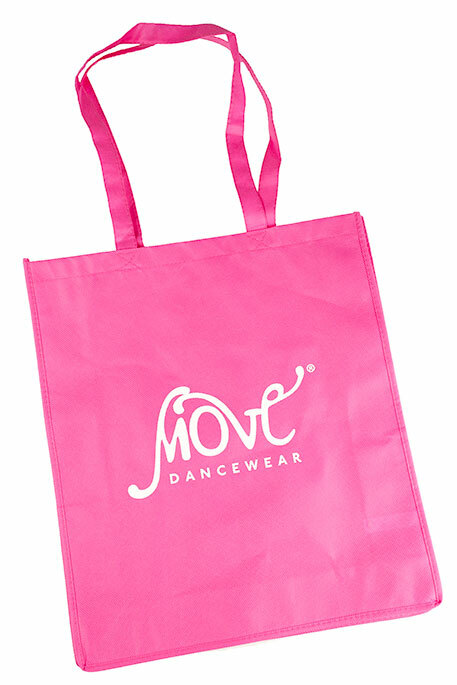 Move Dancewear is one of the biggest dance retailers in Europe who sell dancewear to over 110 countries Worldwide! They cover a huge variety of dancewear. Covering all types of dance including: ballet, ballroom, sasla, tap, character, street and jazz dance. Some of the brands they stock include: Bloch, Bunheads, Capezio, Danskin, Freed, Grishko, Mirella, Pineapple, Royal Academy Of Dance, Sansha and more. The website itself has a great design making it fast and easy to browse with excellent navigation. My products were well wrapped. Each item came folded with tissue paper and placed in a clear closed plastic bag. The tights came folded over a piece of cardboard and placed in their clear sleeve and 1 box per pair. Convertible toe tights are my personal favorite. Mainly because when you wear pointe shoes it’s great to have easy access to your feet. I personally wear my toe pads underneath my tights so convertible toe tights are best. I have a few annoying gripes about ballet tights, such as an uncomfortable reinforced toe, the convertible hole getting too stretched over time, the waistband being too rough or tight and leaving ugly lines under a leotard, and in general, the tights fading after a few washes and not lasting long enough! However, I am pleased to say that I so far have not experienced ANY of these problems with Move Dancewear convertible tights! They are super soft, the perfect shade of light pink, the reinforced toe is comfy and doesn’t feel like it’s digging in whilst wearing flat or pointe shoes. The waistband is nice and flat, does not dig in, can’t be seen under a leotard, and the tights have the perfect amount of stretch to them. I also find with some other brands that the tights don’t stretch… I personally cannot stand tights that have zero stretch to them as it restricts movement and kind of defeats the object of DANCE wear, lol! I have washed a pair in the washing machine along with similar colours and I’m pleased to say they have not yet faded and the washing machine did not destroy the quality of the fabric either. Being quite curvy and only 5ft 3 tall, I do find some leotards do not fit the way I personally desire them to. To give you an idea of my stats and how this fits: I’m a size 10-12 with a bust size 32DD waist size: 28″ and hip size: 36″ upper hip and 38″ lower hip (around my bum). I have quite big thighs and bottom. I usually wear my leotards with a strapless bra because I find even leotards with support or bratek features don’t seem to hold me well. I personally don’t like sports or impact bras under leotards due to the straps. But of course alot of us adults who dance need a sports bra sadly! I decided to wear this leotard without a bra to see just how much support it could give. 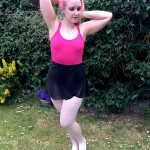 It has a shelf lining in it which grips quite well and the leotard itself is made of a nice thick fabric with stretch. The legs to the leotard don’t dig in either. Which, again is one of my own personal annoyances with some leotards! The leotard covered my bum well LOL and had a very nice flattering shape to it. The multi straps on the back sat nice and flat and did not dig in at any point during class. This skirt is a classic wrap style and is the perfect length (just below knee or slightly higher depending on how tall you are). Some ballet skirts are really short but this one is perfect. It fastens using the self ties and is good quality fabric. Such a bargain price too!